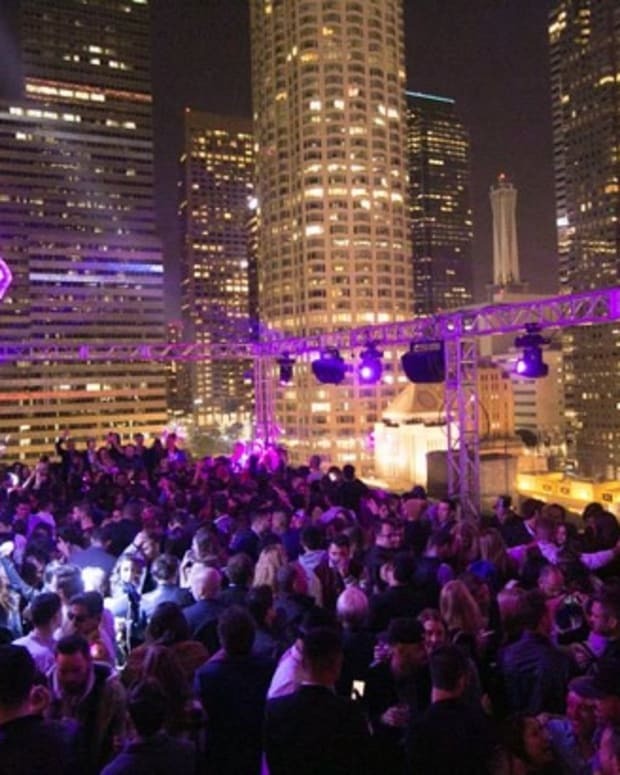 In case you missed it on Friday afternoon, A Club Called Rhonda announced their stellar lineup of musical talent for their renowned New Year&apos;s Eve party which will once again be taking place at The Standard Hotel in Downtown LA. 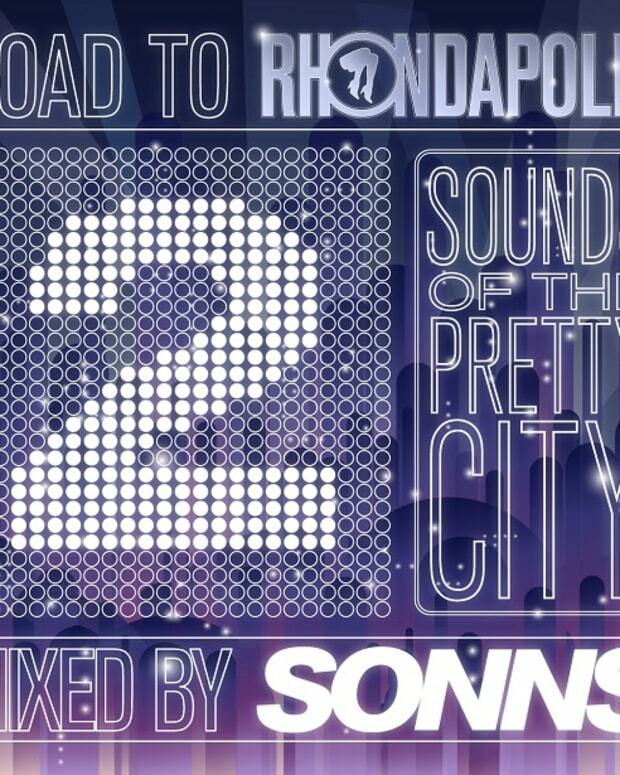 Rhonda will be taking over the entire 13 floors of the Standard Downtown high-rise, from the lobby to the rooftop pool, building four custom discotheques, each packed with world class selectors. 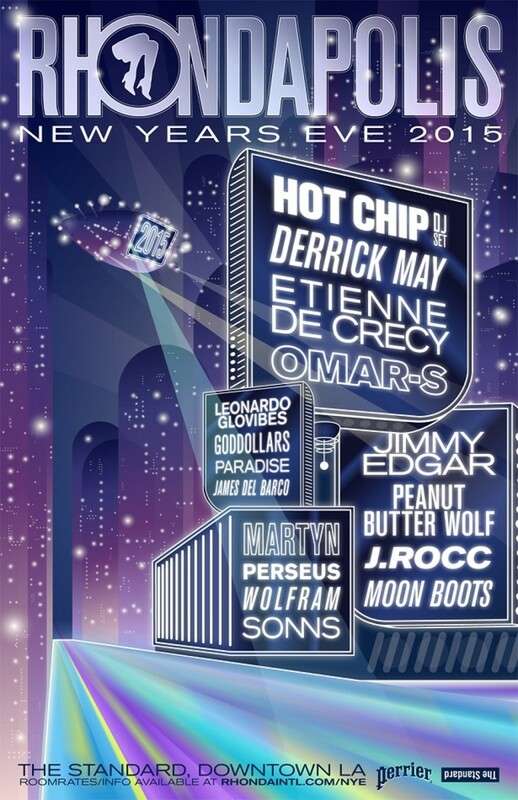 Rhondapolis is boasting one of the most eclectic lineups around for New Year&apos;s Eve in LA with acts like dance-rock stalwarts Hot Chip who are heading the bill with a DJ set, techno innovator Derrick May, the eclectic Frenchman Etienne De Crecy, hip-hop aficionado Peanut Butter Wolf, the French Express head-honcho Perseus, & many more! General Admission tickets are still available for now at 175 a pop and with this ticket you gain entry to all 4 distinct discotheques within the property, allowing you to dance to 4 different stages of world class talent throughout the night. Additionally, your ticket comes equipped with an OPEN BAR, so that you can drink for free all night long! No tip needed! However, if you&apos;re looking for a full on Rhonda experience then the sleepover admission is where it&apos;s at. All of the hotel’s 207 rooms are reserved for Rhonda attendees, making the whole venue part of the Rhondapolis experience. A sleepover booking will get you two admission tickets to all of the Rhondapolis parties there at the hotel complete with OPEN BAR as well. On top of that, you will also get free admission to the next day&apos;s rooftop hangover pool party. Call the front desk and mention “Rhondapolis” to book your room now or click here to secure your booking before rooms sell out. Click here to purchase GENERAL ADMISSION Tickets. Click here to to book your room for SLEEPOVER Admission. Now let&apos;s listen to some of the talent, shall we?